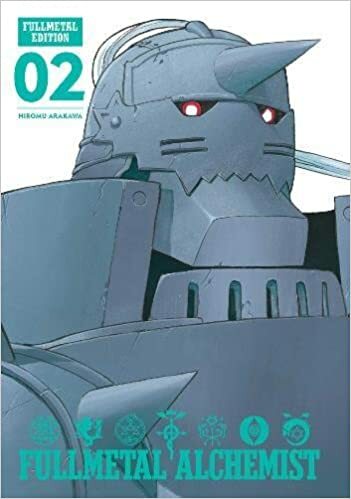 Kind of late but as some of you may already know, Viz Media has started releasing a new edition for Fullmetal Alchemist called Fullmetal Edition. This new edition features an all-new translation and never before seen color pages. Oh, I had missed this. I need to buy this set, so I will have to look into this edition. I'm really enjoy them, and I would love to have them all sitting on my bookshelf. Thanks so much for the heads up! FMA is one of the few series I've watched but never read!! It's super good though, so I might buy these if I see them in person.... probably won't order online tho, since I'm still trying to collect all of Haikyuu!! and Skip Beat!, and the Eternal Edition of SM. Does anyone know how many volumes it will be total? Are there three or four books in a volume? I'm surprised that they decided to re-translate, I don't feel like VIZ does that very often. Does anyone know how many volumes it will be total? One volume weighs 1.5 of the original manga. That is kind of dull since I own a volume of the 3-in-1 edition and that has 3 volumes XD And about the new translation, yeah Viz doesn't do it very often but I know that they did a new translation for the 3-in-1 edition of Inuyasha.